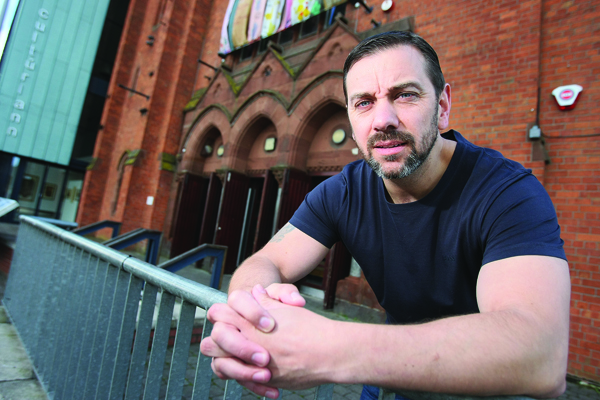 A GROUNDBREAKING film by West Belfast Director Seán Murray is set to be screened this week. Unquiet Graves, The Story of the Glenanne Gang, details how members of the RUC and UDR, were centrally involved in the murder of over 120 innocent civilians during the 1970s. Directed by Seán Murray, the film details how members worked hand in hand with known sectarian killers in the targeted assassinations of farmers, shopkeepers, publicans and other civilians in a campaign aimed at terrorising Catholics. Now known as the Glenanne Gang, the group of killers rampaged through Counties Tyrone and Armagh and across the border in a campaign that lasted from July 1972 to the end of 1978. Speaking to the Andersonstown News Director Seán Murray said: “The dramatic arc of the film looks at how this gang was being run by British military intelligence and what they were trying to do. “They were trying to create a civil war, a gloves off approach to the IRA and basically cause a doomsday scenario. “You had six Catholics killed on January 4th 1976, the MO [modus operandi] of the gang was to hit targets at the same time at different locations. Describing the film Seán said: “The film is very victim centred and it’s a very unconventional documentary. You have the Ballymurphy Massacre documentary, you’ve No Stone Unturned, you can see the influence of journalism within these documentaries, there is always a journalistic element to any documentary relating to the north. Unquiet Graves, The Story of the Glenanne Gang, which is being shown as part of the Respect Human Rights Film Festival and will be shown in An Chultúrlann on 14th, 15th and 16th of September.